We are asking our customers to help us decide what wines should be on our shelves. A small wine shop has limited space so we have to be right! On the first Wednesday of every month from 5:30 to 6:30pm @MetroWines, we will pour wines that have been presented to us by our sales representatives. So many think owning a wine s...hop must be a great job. And it is! But it is also difficult. It's easy to say what wines we like. Not so easy to decide what wines most of you will like. So, we thought, who better to ask for help in the selection process than you. Tell us what you think. Seating is limited to 10. The first who call (828) 575-9525 every month have a seat at the big table. As we are asking your guidance, the tasting is "on the house" and parking is free, close and easy. Please join us for The Asheville Wine Focus @MetroWines on Wednesday, May 8th from 5:30 to 6:30. Four wines will be presented by Katarina Dordelman of Sour Grapes for consideration by the participants. "With all the publicity surrounding "natural wines" lately, we are offering our customers a chance to taste and decide if more of these wine should be included in our shop, says Gina Trippi, co-oner of MetroWines. Please join us on April 10th from 5:30 to 6:30 @MetroWines for The Asheville Wine Focus Group @MetroWines with our host Orsini Wines. "Nearly 40 participants gathered in March for the Focus Group," says gina Trippi, co-owner of MetroWines. "The more opinions, the better our selections of wines for the shop." Ser Passo was conceived as an attempt to surprise and delight the wine consumer with new flavors, tastes and aromas. The unique flavors are of intense, strong and ripe fruits, such as cherries and black cherries. A velvety structure on the palate leaves a graceful softness in the mouth which make it suitable for tasty pasta, red meats and game in general. "could enjoy alone or with food"
Among Group last night was a sommelier from Italy, Roberto, who said "This wine is a good example of the great values coming out of Italy. You could definitely take this wine to a dinner or party with confidence." Join us on Wednesday, March 13th from 5:30 to 6:30 @MetroWines for The Asheville Wine Focus Group hosted by Anne Kaufmann of Advintage Distributing of The Carolinas. "This is your opportunity to not only play wine shop owner for the night but to help determine what should be on our shelves,"says Gina Trippi, co-owner of MetroWines. "The importers have also found the feedback very helpful in guiding their future choices as well." Advintage Distributing of The Carolinas was chosen as one of Top 100 distribution companies by Wine Spectator. The event is on the house. Your opinion is valued! Rarely has Group been so unified in their choice of of best quality for the price wine as was the case last night. Group was passionate! passionate I say! about Anne Pichon "Sauvage" Grenache Rhone Valley 2017.
and windy days in Provence. Group found the wine to be both lively and versatile, full bodied with smooth tannins. A strong nose leads to a very berry palate with a touch of chocolate. Group thought this French Grenache was less "aggresive" than a Spanish Garnacha can be. Group thought this would be a good wine to serve at a dinner or to bring as a gift. This wine would also be a good choice when you don't know what the host is serving as this Grenache could pair nicely with many dishes. Bottom line: Group was passionate! With such a small shop working to serve different tastes and price points, stocking the shelves can be like pushing a wine barrel up a hill! And trying to maintain the constant favorites while still bringing in new wines is no easy feat. The Asheville Wine Focus Group ("Group") has been extraordinarily helpful in advising on decisions. While Group enjoyed Chenin Blanc from South Africa and thought these wines had their place, if you had to choose just one, Group preferred the crisp acidity of a French Chenin Blanc while recognizing that pairing with a dish may call for the smoother South African version. Rose works all year! On three occasions, the favorite of the four submitted wines was a Rose with the Backsberg Pinotage Rose being the biggest hit. Believe it. Kudos to Group for stepping outside their collective comfort zone and bringing a wine truth forward that the rest of the world already knows: Rose works all year! Group was not afraid to tackle lesser known varietals such as Muller Thurgau. In fact, the Muller took the prize one night. Group thought the varietal offered a smoothness, showing good weight like a Chardonnay, that made the wine good to go solo but still presented enough acidity to pair with food. We also taste tested a Blaufrankisch. You cannot fool Group. While they liked the bottle, Group thought we could do better for the same or a lower price. This one was booted, baby! Group went crazy for a blend of Tannat and Merlot from Brumont. We brought the bottle in and still have trouble keeping it on the shelf. Not only great tasting but Group thought the bottle was really good for the price. "A real deal," Group said. And who could forget the Copertino, a blend of 95% Negroamaro and 5% Malvasia. Again, this wine had a little age on it. Group will go there! And Group showed their knowledge and interest in putting a little age on the bottle. A 2011 Rioja was a smash hit. Group picked this wine as a winner before we knew that James Suckling had given this vintage 93 Points! We showed that we got critical acclaim game again when we chose Airfield Cabernet Sauvignon. Turned out Wine Enthusiast loved it too. And we were ahead of Eric Asimov choosing a bottle from Broadside which showed up in his column weeks later! And then there was the Biltmore Smack Down! What is "A Biltmore SmackDown" you ask? A while back, Biltmore showed up @MetroWines and blind tasted us on their Chardonnay and Cabernet. They pitted their wines against two very, very well known and good selling bottles of the same varietal and close in price. Let's just say, we were impressed. But, to land on the shelf, we told Biltmore that they must convince our customers. More than 40 showed up to take the challenge! Biltmore Wines held their own. The goal for Biltmore was to show that, even if you did not prefer the Biltmore Wine, it was a quality bottle. for example, The Biltmore Chardonnay was quite French in style. The majority of Group prefers a heavier bottle. BUT, it was agreed that the North Carolina chardonnay was great for the price and it was not at all clear, that style aside, the competitor was worth $10 more. When asked which of the Biltmore Wines we should stock, Group said the Blanc de Blanc Sparkling and the Pinot Noir. And that brings us to the bottom line: the price to quality ratio. So many times Group loved a bottle but when the price was announced, it was a no go. In some cases, Group could even name a bottle already on the shelf of the same varietal that was, in their opinion, better and at a lower price! Name aside, you have to Bring IT! There is so much competition in the wine world, savvy consumers are passing up the name brands looking for quality at at a better price. The Asheville Wine Focus Group did a heck of a job helping us to decide not just what goes on our shelves, but the wine landscape in Asheville as well. The importers, sometimes taken aback by how knowledgable Group was about wine and their discerning palates, took note of Group comments. One phenominon we did notice was consumer connection to a label. That goes bothe ways. You can continue to buy a wine that has long past its prime, that is, living off its respected label and subconsciously refuse to give a new label or a label on a wine, such as Biltmore, that has not peformed well in the past. “I don’t buy wine because of the label. “ But the research says some of us, actually many of us, do. Wineries want you to look. You don’t get a second chance to make a first impression. And so it is for the wine label. Who can resist the lure of Kungfu Girl Riesling? Labels were originally intended to provide legally required information. Wine Searcher, a service that posts information from online wine shops, says countries around the world have laws for both wines produced in country as well as imported wines. Labeling laws typically require name, region of origin, vintage, often the varietal or blend, volume and percentage of alcohol. But fierce competition in the wine world has forced the label to become a marketing tool. “99 Bottles of Wine,” a new book by wine label designer David Schuemann, tells all in his book revealing the wine marketing strategy. The label, Schuemann says, is easier to remember than the taste of the wine. Schuemann notes that at a wine tasting held at the Edinburgh Science Festival in Scotland showed that while people could not consistently differentiate wines, they were consistently drawn back to the label they knew. So, from a wine marketing perspective, wine consumers look for the label, the brand, just like with any other product. And, again, just like any other product, research shows that an eye catching label can encourage the consumer to buy a more expensive bottle. Labels range from the traditional coat of arms style to animal portraits to high end design by artists whose works are seen in museums! Little did I know when I saw an exhibition by Mickalene Thomas at the Corcoran Gallery in Washington DC, that her work might be sitting on my dining room table in the form of a wine label! Label prejudice can influence taste as well. An experiment conducted by Cornell University Professor of Marketing Brian Wansink, proved the point. Professor Wansink filled all the bottles with the same $2 wine, labeling half as wine from California and the other half as wine from North Dakota. Those drinking the wine with the California label stayed longer, drank more and rated the wine higher! When it comes to wine, make your own decisions and have the courage of yor convictions! Join us on Wednesday, January 9th for the Asheville Wine Focus Group from 5:30 to 6:30 @MetroWines. Our hosts will be Richard McKinney and Nick Demos from Tryon Distributing (https://tryondist.com/). "This night marks one year of working The Asheville Wine Focus Group @MetroWines" says Gina Trippi, co-owner of MetroWines. "The group has been incredibly helpful in guiding us to provide what our customers want to see on the shelves." Four wines will be presented for consideration by the Group. Richard McKinney and Nick Demos will tell us about the varietals included and the history surrounding the wines as well as personal stories from their travels to the wineries. What is a Biltmore Smack Down? What is "A Biltmore SmackDown"
us on their Chardonnay and Cabernet. They pitted their wines against two very, very well known and good selling bottles of the same varietal and close in price. Let's just say, we were impressed. But, to land on the shelf, we told Biltmore that they must convince our customers. That said, join us to taste test 4 Biltmore Wines against 4 wines from our shelves. Yikes. And you think you are scared! from 5:30 to 6:30 @MetroWines! To register: call (8280 575-9525 or online HERE! Join us on Wednesday, December 12th from 5:30 to 6:30 for "The Biltmore Smack Down" with The Asheville Wine Focus Group @MetroWines. What's it all about? Biltmore has new winemakers and wines. Four of the Biltmore Wines will be matched against four well known wines of the same varietals and similar pricing. All wines will be concealed in brown bags. This is a blind tasting! "Biltmore intends to challenge your previous experience with their wines," says Gina Trippi, co-owner of MetroWines. "And prove that if you haven't taste Biltmore Wines lately, you haven't tasted Biltmore Wines!" November Focus Group: Pinot Blanc! Juniper Cooper of Mutual Distribution was our host for the evening. For consideration, Juniper submitted wines that would complement a Thanksgiving Table including an Pinot Blanc from Alsace, a French Minervois, California Red Blend and a California Zinfandel. In an hour, Juniper shared location and origin history, characteristics and styles of the varietal, as well as pairing advice. The evening was comprehensive, interesting, educational and fun. Thank you Juniper! While a significant number of participants liked each of the wines, the Pinot Blanc was the clear favorite. From Gustav Lorentz, this Pinot Blanc is 100% organic and could probably go 5 years in the bottle. Juniper explained that this varietal, because of its heavier texture and being smooth on the palate can be paired with just about anything except a thick piece of beef. That means German sausages, chicken and fish, and anything with heat. Oregon Pinot Blancs, Juniper says, are a little more tropical in aroma and flavor. This Pinot Blanc from Alsace was clearly more complex. As always, Group was concerned about the quality to price ratio. In one case, a participant even named a bottle on the shelf he preferred for a lower price! Group has become very savvy. It is clear that Group is seeking the different. If you present a varietal they know, it better be better and cost less than what is on the shelf or it won't make the shelf! We are very grateful to Group for their insight and advice. Often, when only two or three taste in the shop, we can go wrong, pick a wine we like but not many others will like or a wine that is not worth the extra cost. In December, Group tackles The Biltmore Smack Down. Just a quick note to say that the Wine Enthusiast just gave this one, one of our Focus Group Wines!! a great review. We got game people! Winery Tasting Notes: "This classically styled Cabernet Sauvignon showcases pronounced aromas of cherry and blackcurrant with undertones of toasted oak. 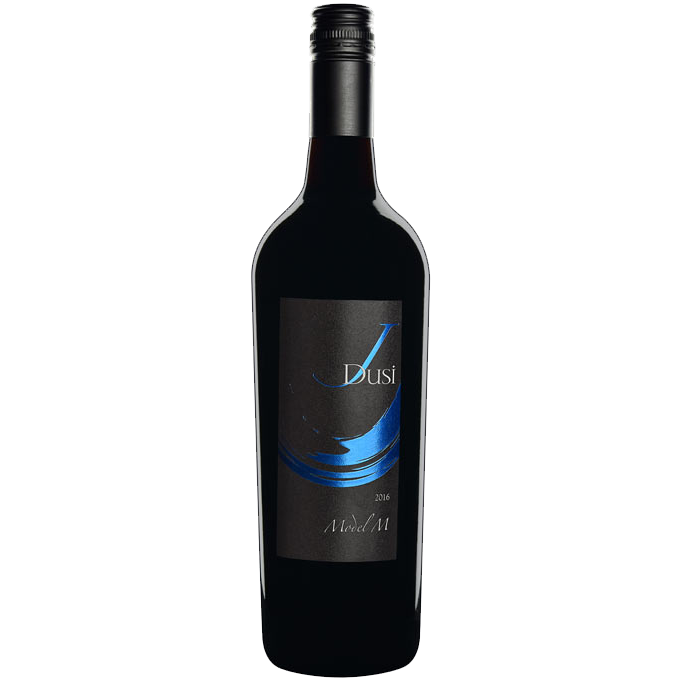 A smooth, well-balanced palate framed with lingering tannins on the finish."